When scrolling through your daily social media postings, ever wonder how business accounts find your page and start posting products to your feed? When going through your daily mail, ever wonder how certain coupons are delivered specifically for products you purchase every week? These maneuvers are forms of marketing research. Marketing research is the activity of gathering information about consumers’ needs and preferences. First, marketing research is about discovering your consumers to learn about their opinions. Once customers are reached, then businesses will be able to better understand their target market and their likings about the products/services. Marketing research plays a vital role in molding businesses into ideal products for their consumers. Due to the ongoing technology advancements, marketing research methods need to evolve with the changes. The importance of marketing research has forced its way into the internal structure of businesses, becoming a more central idea rather than an outside source. Surveys – Surveys are a key strength in gathering a random sample of information. They can collect a wide range of information and measurements vital to any organization’s progress. However, the accuracy and validity of surveys come into question; surveys that are consumer satisfaction based are simple enough that computer robots could complete and submit. If robots can continually continue to fill out surveys, then surveys will become outdated for marketing research. Observation – The observation method is when researchers watch over consumers in their ‘natural habitat’. This procedure has less interruption and does not impose biases, so observation proves to be a more accurate research tactic. Computer-controlled sensors are on the rise and record personal lives in a non-intrusive way. For example: Fitbit watches are embedded with computer sensors that track fitness progress, sleep cycles, and other life activities. The observation method is becoming more engrained in everyday life, in a non-traditional form. Experiments – Experiments have also been available, but have difficulty in implementing a controlled environment. The expansive digital technology has created more ways to alter controlled consumers’ environments. Experiments can block out the noises and inferences that occur during an observation method. Experiments can serve as a ‘check and balance’ on business practices, but can be tricky when creating a base environment to conduct in. Technology has changed the face of society, from telegrams to text messages, and continues to change the way the population conducts everyday life. Digital advancements have also altered the ways of business practices and procedure, and is now changing the face of marketing research. Marketing research is the action of collecting information from consumers about their preferences of products/services. The main ways to conduct market research is surveys, observation, and experiments; all three of these tactics are under a makeover due to technology. Technology influences and persuades consumers in a way that marketing must begin to follow. Catskill Marketing, based out of Middletown, New York, understands that the way marketing is conducted is evolving. Our marketing team knows the way to reach customers is through online and social media connections. Catskill Marketing will work side by side with your business to ensure a boost in revenue. 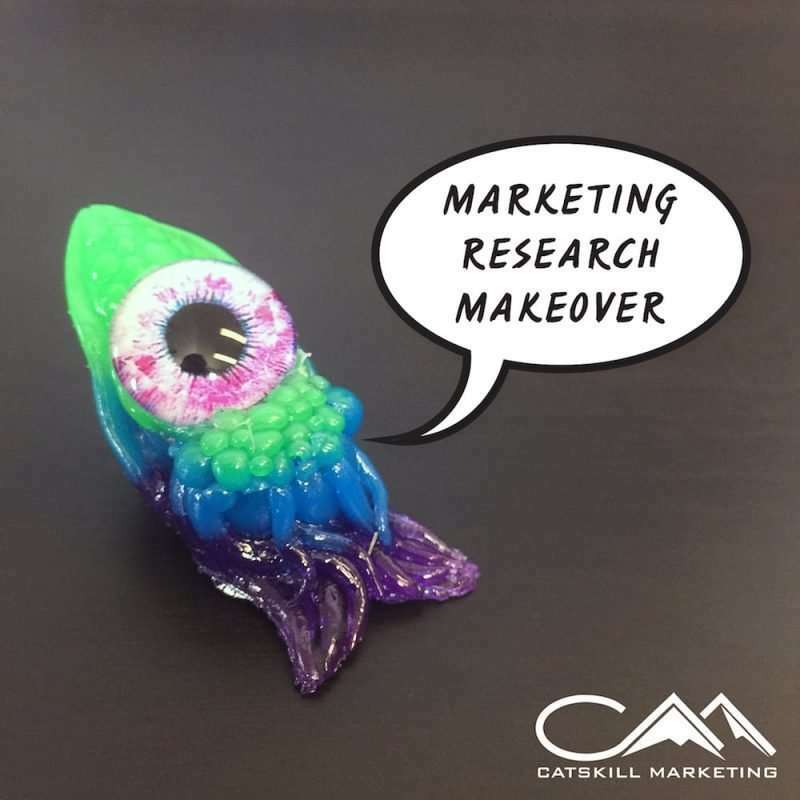 Marketing research and listening to consumers are vital components to a successful business; Catskill Marketing is here to help with all factors that lead to your company’s success. Catskill Marketing is fully aware of the role of technology in the marketing process and are ready to help your business succeed. This entry was posted in Blog and tagged Catskill, Catskill Marketing, Experiment, marketing, Marketing Research, Marketing Research Makeover, Middletown, New York, Observation, Orange County, Research, Survey, Technology.